Kyle Legozzie and Shawn Spindel may feature as assistant referees in FIFA international matches as early as January 2017 following their recent acceptance by football’s world governing body to officiate at the highest level of the sport. 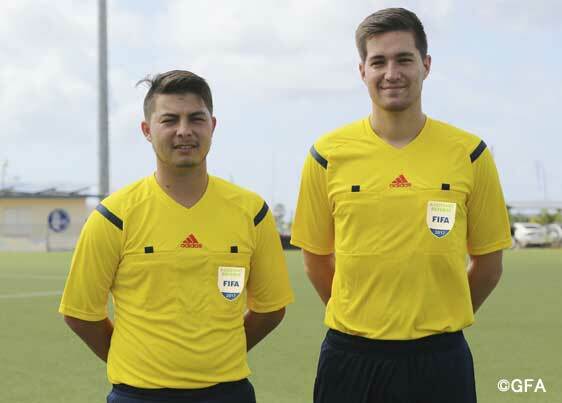 In order to be nominated as FIFA international referees, the candidates must meet the minimum age – 23 years old for Assistant Referees and 25 years old for Referees – and must have officiated at the highest national level for at least two years, which in Guam’s case is the Premier Division of the Budweiser Soccer League. 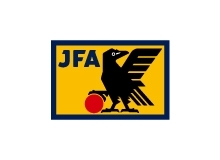 The nominees must also pass a medical examination and FIFA-approved physical fitness test within four months before nomination, according the FIFA.com Web site. 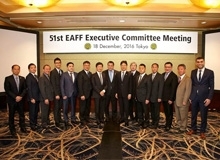 FIFA member nations are invited annually to submit nominations. In 2016, over 3,000 officials from over 200 FIFA member nations were accepted to the FIFA list. 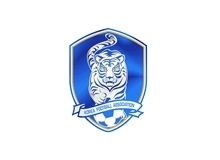 Of the total amount, close to 700 are from Asia, according to the FIFA Web site. 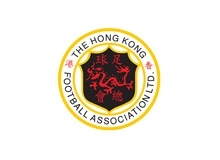 Officials are listed in one of the following categories: Referee, Assistant Referee, Women’s Referee, Women’s Assistant Referee, Men’s Futsal Referee, Women’s Futsal Referee, or Beach Soccer Referee. Legozzie and Spindel are the first officials from Guam to receive a FIFA Assistant Referee badge. 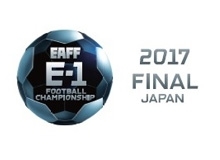 Spindel has officiated in EAFF U13, U15, and U18 Youth Tournaments in Guam and abroad, the Sanix Cup and university festivals in Japan, and several AFC U14 Championships and festivals, among other assignments, since he was 17 years old. Legozzie has traveled twice to China, P.R. 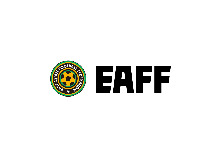 in the past two years to officiate in the AFC U14 Festival of Football and also was an assistant referee in the EAFF U18 Youth Tournament in 2013. Prior to tournament assignments, GFA Referee Fitness Instructor Eladio Manansala assisted in keeping the pair fit for officiating duty. “There are many that have shown support for me and have given notice of my ability as a match official, but there are a couple in particular that have given so much effort and time to ensure that this is a road I continue on and prove to all that this is something that is achievable,” Legozzie said. “My father has been a massive supporter in me being a referee. He knows that I have a passion and knack for it, so he always reminds me that I should see where this takes me, to open some more doors and explore the world and be the best I can be. My mother has been the biggest supporter I know in everything that I do since ever since. She has always grounded me and shown me that this is something I can be great at and leave my mark on something, as well to be humble of the responsibility I now have … George (Stewart) has been a crucial part of everything from when I first started officiating in the U8 division in the youth league until now at the FIFA level. Everything I have accomplished and done as a referee is all thanks to him. Christina and Johannes (Gonzalez) were the ones that got me back on track with actively seeking to be a FIFA official. I was losing hope for a little while thinking it was impossible, but Johannes especially showed me that I have what it takes. He was the one that was able to revive the passion I have for being a football referee and unlocking the inner drive in me to see this through. “Everyone who has shown support or applauded my abilities, I truly thank you and hope you continue to do so, for it helps every bit. I hope to continue to make you all and Guam proud,” Legozzie added. Referees and Assistant Referees on the FIFA list are all eligible to be selected to FIFA-sanctioned international tournaments and matches. Once at a tournament, referees must pass tests, including a FIFA fitness test, in order to receive a match assignment in the tournament. “There aren’t quite the right words to describe the pride that I feel to know that I was part of the Referee team that saw this to fruition,” said Gonzalez, via E-mail. “The entire team worked very hard to develop each other and see our Referee Program get better. To see this accomplishment by Kyle and Shawn only supports the efforts of the team and that together we can accomplish much more for the good of the beautiful game. “I am extremely honored, happy, and more than anything proud to say that I am - and will continue to be - part of such great Referee Program. I am also very proud to say that I was able to work with George Stewart - he has given so much to the development of referees in Guam and this is a clear signal of his efforts,” Gonzalez added. Legozzie is the son of GFA Executive Director Cheri Stewart and her husband, GFA Referee Instructor George Stewart, and resides in the village of Dededo. Spindel is the son of Kirk and Annette Spindel of Barrigada.